About the fabric / Caroline-made. Pretty accessories for the modern, sophisticated gal. The fabrics used for Caroline-made are pure gorgeousness, there's no denying that. 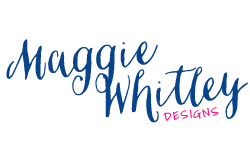 Our fabrics are hand-selected by Maggie and are purchased right here in Los Angeles. They're the perfect compliment to our bags and pouches. Caroline-made: pretty accessories for the modern, sophisticated gal. Our products are sewn with a variety of high-quality fabrics: linen, cotton and cotton sateen. We also use YKK zippers and top of the line thread, interfacing and leather detailing. We are proud to create beautiful, high-quality handmade wares that you'll treasure for quite some time. Our fabrics are exclusive and I love that we are one of the few shops to transform them into a handmade accessory. 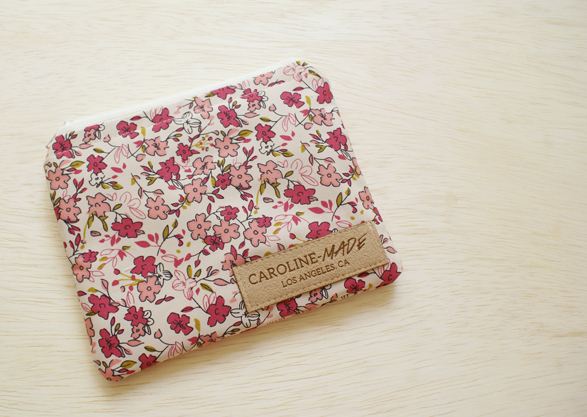 Caroline-made products include a secret layer of interfacing to provide the perfect amount of structure and durability. And may I gush for a moment? Our custom suede labels are gorgeous! They are the perfect final touch. I love them so much, and I know you will, too.